The King is hungry. He wants his breakfast but he can’t wake the Queen. So he summons the Noisiest Band in the Land for their help. A royal tale with a Punk Rock Twist! 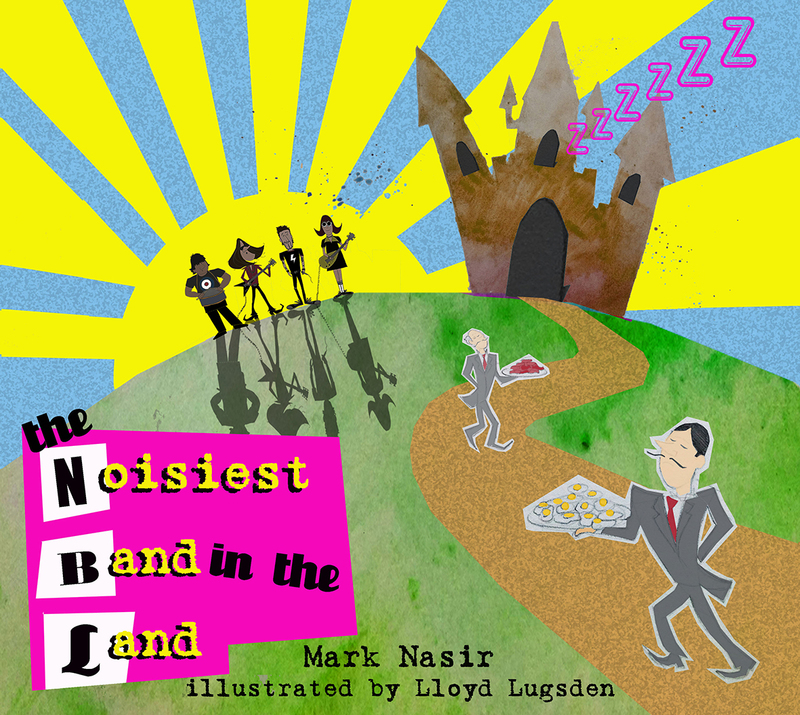 The Noisiest Band in the Land is a brightly illustrated, eye catching book, written especially for pre-school and reception year children. With an audio version of the song also available this is sure to be a hit with the little ones and parents alike. Mark Nasir has spent his adult life writing and performing. Back in the 90’s it was all about indie music, sweaty venues and songs of angst. Now, in his forties, he still performs most days of the week but to a much difference audience … Toddlers. He runs his own children’s entertainment business Piccolos Music Club. And it is at his music club where he finds the inspiration for his stories. Each tale has been tried, tested and fine-tuned on the youngsters that attend his daily sessions. His stories are either performed in song or have a musical theme and many lend themselves to paperback – hence the book! A father of two, Mark lives in rural Bedfordshire. His song writing took a distinct change when his daughters came along and needed entertaining. Silly songs and stories poured from his adoring heart which eventually formed the bare bones of today’s Piccolos set list and the inspiration for his book.